Craving burgers? 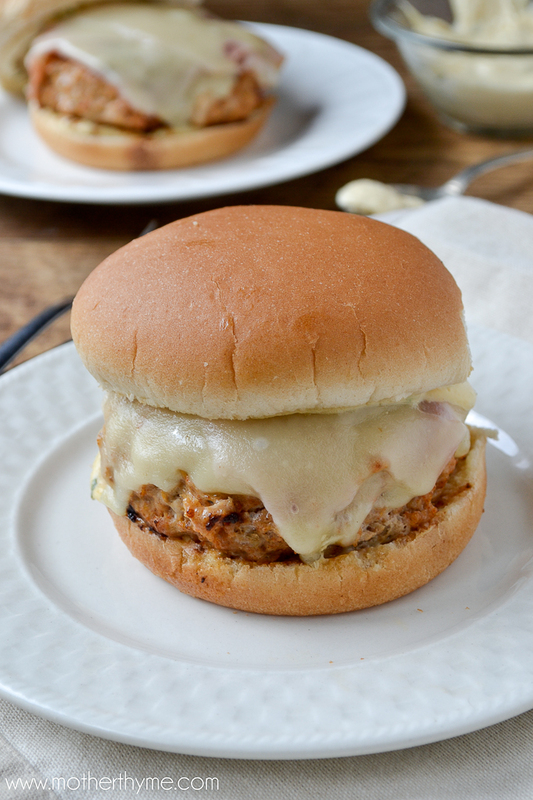 Try these Chicken Cordon Bleu Burgers. 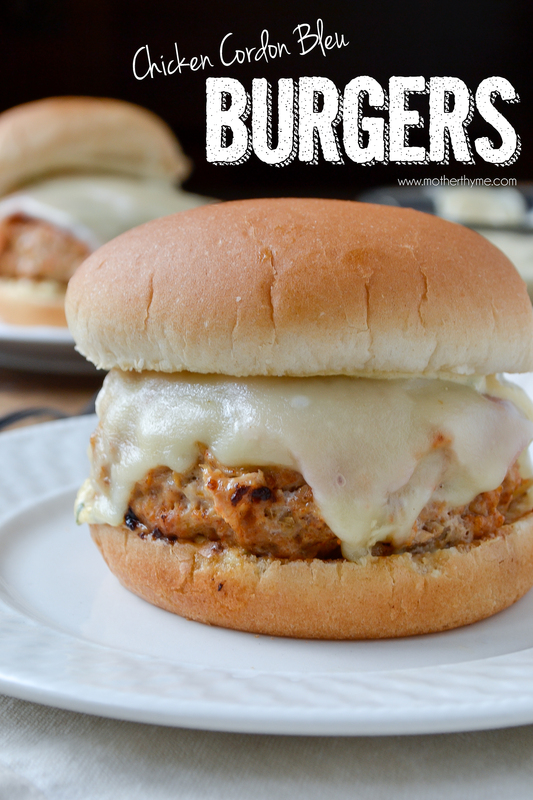 Seasoned chicken burgers topped with deli-style ham, swiss cheese and a creamy dijon mayonnaise, for the perfect burger to enjoy any night of the week. I love a good burger. I also love Chicken Cordon Bleu. What do you do when you want both? 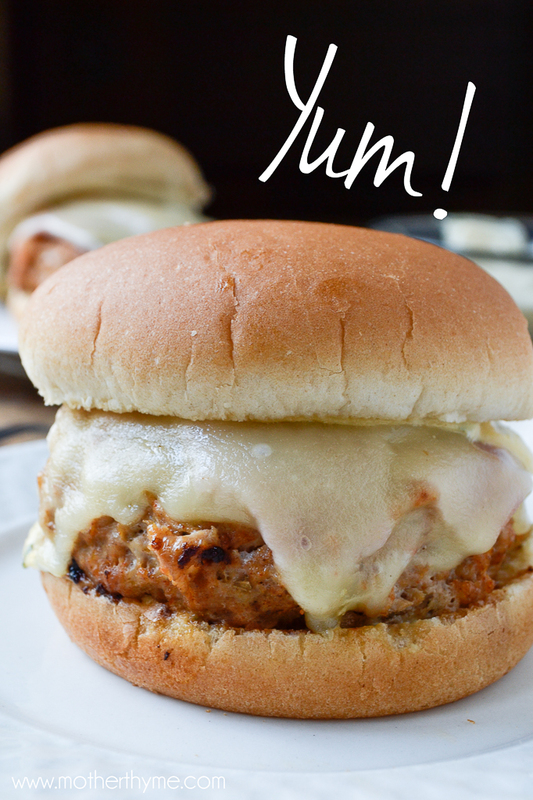 Make Chicken Cordon Bleu Burgers. I love putting twists on burgers. It is not very often that I just make a plain old burger unless we are having a summer barbecue. When it is just me and the family, I love having burger nights. Burgers are fun, easy and very filling. Some of my favorites are my Buffalo Chicken Burgers and General Tso’s Chicken Burgers. These are some tasty burgers! If you are in the mood for a juicy burger that is seasoned with some spices on hand, topped with deli-style ham, swiss cheese and a creamy dijon mayonnaise, this is the burger for you. For your next burger night, give these a try. Serve with some buttery noodles for a complete meal the entire family will love. In a medium bowl mix ground chicken, bread crumbs, dijon, worcestershire, paprika, garlic powder, salt and pepper until combined. Place in skillet and cook 7-8 minutes per side, until thoroughly cooked. Top with slice of ham and cheese. Cover and continue to cook until cheese has melted. Spread hamburger rolls with Creamy Garlic Dijon Mayonnaise Spread and top with burgers. In a small bowl mix all ingredient until combined. Refrigerate until ready to use. For some crazy reason I’ve never really been a fan of chicken cordon bleu. HOWEVER, I can totally get behind this burger situation! Awesome! These look fantastic. I’ve got some chicken mince in the fridge, this recipe is now bookmarked, and as it’s Summer in NZ, I’ll cook these on the BBQ.